The right to education is a universal entitlement that includes the right to free, compulsory primary education for all, an obligation to develop secondary education and make it accessible to all, in particular by the progressive introduction of free secondary education, as well as an obligation to develop equitable access to higher education ideally by the progressive introduction of free higher education. In a developing economic context like South Africa, free higher education for all has not been realised yet. It is important therefore to look at possible sources of finance for students in South Africa. University financial aid – Most universities offer bursaries or grants to students who have excelled in secondary school studies. Students must therefore check with the universitys financial aid office to check for eligibility and make sure an application is lodged before the closing date, which is usually in October of the year preceding the start of studies. National financial aid – For South African citizens, you may be eligible for a National Student Financial Aid Scheme (NSFAS) loan to study at one of the countrys public higher education institutions. The NSFAS is a statutory body funded by the Department of Higher Education and Training which provides study loans to academically able but financially needy students. External bursaries – There are many companies in South Africa as well as provincial government departments who offer bursaries to promising students. Many mining and engineering companies,in particular, provide contract bursaries. Student loans – All of South Africas major banks offer student loans, both to South Africans and non-South Africans with valid study permits. When applying for a bank loan, you will have to show proof of registration at an education institution. Bursaries for teachers – These bursaries are offered through Funza Lushaka which is a governmental funded bursary scheme aimed at promoting teaching in public schools. Students planning to complete a teaching qualification in a subject area identified as a national priority by the Department of Basic Education can apply for full cost bursaries, which cover the cost of tuition, books as well as living expenses. The above are some of the student finance options which can be explored. This entry was posted in Loans on July 29, 2014 by finance. Standard banks size and power in the financial and banking industry can best be measured by the fact that this bank operates in 32 countries around the world including 19 in Africa. This revered banking institution has earned a long-lasting reputation for providing banking and other financial services to individual customers as well as small and medium enterprises in South Africa and Africa. In order to serve its huge clientele well, Standard Bank introduced the ContractSave. ContractSave is a savings facility which allows clients to commit a certain amount of money every month for a period of time. Some of the features of this product include the fact that you can not withdraw the funds or stop deposits at maturity of the investment but you can choose to reinvest, your funds are available at maturity, you select a monthly debit order amount of R100 or more to fund the ContractSave account, you can make additional deposits whenever you want to, your bonus interest increases each year up to a maximum, so the longer you save the higher the bonus interest you can earn. You earn competitive interest rates and an additional bonus interest after every year for up to four years, you can choose the period that you wish to save for, from 12 months to 20 years, monthly debit orders from a Standard Bank transactional account into your ContractSave account are free and you can choose to have your debit order amount automatically increased each year. ContractSave accounts can be opened at any Standard Bank branch and they are operated as personal accounts. Minors may open an account with their parents or guardians consent. Basic requirements for this account include a South African ID, valid passport with work permit or student visa. For any questions regarding this savings account, Standard Bank can be contacted on 0112994701. This entry was posted in General on July 28, 2014 by finance. Money saving tips – Life for old and new students alike can be fun and the temptation to spend is very high. There are various reasons put forward for this approach to finances by students but one of them is the fact that there is a lot of peer pressure within the student population. 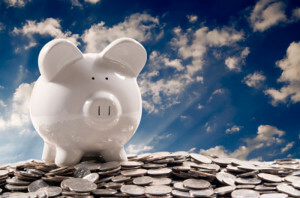 There are however certain saving tips which can assist any student make the much-needed savings. Budget during the first weeks of the term – It’s hard to budget when you are keen to have fun, but it is worth holding off on extravagant spending early on and go out, spend and celebrate at the end of the term when you are sure the term is done. Plan meals in advance – Fast food in restaurants will significantly impact your finances. Preparing food at home or in the hostel is a great way to save money over the week. Capitalise on student discounts – Being a student opens doors to a great amount of discounts. These discounts are also offered in forms of cards by different retailers. These can go a long way in saving finances. Travel smarter – Traveling home, to school or visiting friends can be costly. The good news however is that there are different means of transportation which are cheap and affordable. If you have a private car, you can offer seats to paying passengers. Dispose off items – Your old clothes and books are surprisingly very valuable. So when you are sure that a books future is to sit and gather dust, head to Amazon to trade it for a gift card. You can also rid yourself of old clothes at eBay. Buy non-branded – There is a significant difference in prices between branded and non branded produce. Avoiding the household names can mean a hefty saving on filling the fridge, so you’d be wise to look beyond the labels. Get paid to do stuff – Getting a job that takes a lot of your time while studying can be quite difficult but there are other less time-consuming job opportunities such as online surveys or market research focus groups which can go a long way in supplementing your finances. The above tips should be able to help students have healthy finances at that level of life. This entry was posted in General on July 22, 2014 by finance. Loans are a necessary solution in moments of financial distress for individuals and families. Research has however shown that not many people consider certain key aspects or steps before obtaining a loan. Below are a number of tips one should consider before taking out a personal loan. Shop around – Just like any other purchase, it is always advisable to shop around and compare different offers before taking out a personal loan. In this process, always look out for the annual percentage rate which tells the true cost of a loan taking into account the interest payable, any other charges and when the payment falls due. Don’t apply for too many loans – Having lots of applications on your record makes you look desperate or in financial difficulties. As a result lenders will see you as more of a credit risk which makes your chances of your loan application being approved lower. Borrow more – Generally, the larger the loan amount is the lower the interest rate. Due to the way some providers price their loans, there are occasions where you can actually save money by borrowing slightly more. Know the risks of secured loans – Secured loans are cheaper than unsecured loans but you risk losing your property if you don’t keep up repayments. So don’t sign up unless you are 100% sure that you will be able to meet your repayments. Consider a credit card – Before you apply for a personal loan, consider other forms of credit. You might find a credit card is cheaper and a card with a 0% introductory offer on purchases will enable you to spread the cost of big purchase interest free. Always check your credit rating – If you plan to apply for a market leading personal loan, its crucial that you check your credit rating first. If your credit rating is not in good shape, you may be offered a more expensive deal than the low rate loan you originally applied for. Consider early repayment charges – It might seem unlikely at the time you take out a personal loan but its possible that you will be able to pay off your debt early. Many loan providers will apply a charge if you wish to do so, so its a good idea to check how much this might cost before you apply for a particular loan. Check the small print – Before applying for a loan, always check the small print to see if you are eligible. Some best buys come with some hidden negative conditions. The above tips if considered can assist in making good and positive personal loan decisions. This entry was posted in Loans on July 21, 2014 by finance. Zidisha is an innovative and trendsetting online platform which facilitates lending across the international wealth divide. The vision behind the concept is to have an online micro lending community to connect lenders and borrowers directly across international borders and consequently overcoming previously insurmountable barriers of geography, wealth and circumstances. This facility has managed to bypass expensive local banks and connect lenders and borrowers directly resulting in fairly priced loans and promotion of mutually beneficial friendships which cut across borders. Access finance through Zidisha follows few simple steps. 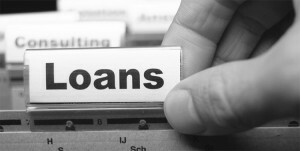 The first step is for the borrower who quite often is in a developing country to log into the Zidisha system and post a loan request, the lender then selects an available loan and bids to provide all or part of the funding, lenders are allowed to propose their own interest rate for the funds that they offer to lend, 100% of the lenders loan is disbursed directly to the borrower and repayments are done in regular weekly or monthly installments. In many instances, lenders and borrowers stay in touch and keep each other updated on the impact of the loan. With Zidisha, thousands of aspiring entrepreneurs especially in marginalised countries have received the much-needed financial assistance to start and expand businesses. This entry was posted in Loans and tagged zidisha review on July 9, 2014 by finance. Property or housing remains the most secure investment option a family or an individual can consider. 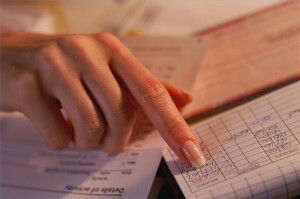 This form of investment can be done through cash transactions for those who can afford or even through finance from a financial institution.The whole process however can be very daunting for many especially first time buyers who are not sure of whats important.The factors listed below will go a long way in assisting many be aware of what matters. Budget – Determining your price range is key before shopping around for properties. Bond or home loan originators can help you determine your budget and speed up bond process by negotiating with multiple financial institutions on your behalf. These bond originators are paid in form of commission based on the mortgage amount they secure, so you don’t incur any consulting fees. Location – Property investment should appreciate in value as years go by, the location of the property will assist in achieving this. Factors which are very important in this regard include infrastructure, level of security and convenience to social facilities. Infrastructure refers to the basic facilities in the area such as roads, the better the infrastructure the more valuable the property. Level of security will always be of utmost importance. Social facilities include schools, shopping centres, hospitals, churches etc. Availability – Searching for the right property which is available at the right time can be very tricky. It’s never a bad idea to use estate agents and property websites. Estate agents often have access to invaluable market information that the public might not be aware of. Online property websites allow you to narrow down your search to the finest detail and enable you to view information and photos of the property from home comfort. Structural aspects of the property – It is always a good idea to look out for any defects and plans for alterations. Defects are the visible problems associated with the property such as wall cracks, sagging gutters, broken windows, missing tiles, geyser problems etc. These should be rectified before purchase or even analysed to determine whether they are an indication of more serious future problems. Make sure you consult the local municipality whether all buildings on the property are approved so that you don’t embark on illegal alterations after purchasing the property. Negotiating purchase price – Always check the prices of recent property sales in the preferred area and current market conditions. 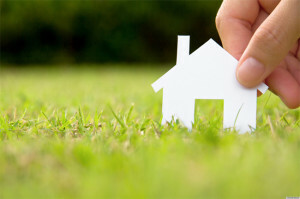 Always bear in mind some of the costs associated with purchasing a property. These costs include transfer duty which is calculated according to a sliding scale based on the property value. VAT if the property is bought directly from the developer or builder. Conveyance fees which are usually added 1%-2% to the purchase price. Bond expenses which include initiation fee, legal fees, stamp duty and bond registration costs based on the value of the bond. Fees payable to the deeds office for the registration of ownership, including a levy for the registration of a bond with the deeds office. The above tips will certainly assist any property buyer in South Africa. This entry was posted in General on July 8, 2014 by finance. Budget : Vehicle finance is all about money. It is therefore important to consider what you can afford up front or in instalments. It is a good precaution to include the increased cost of insurance and upkeep. Certain vehicles cost more to maintain and insure than others. Research: The internet is one of the most effective places to find out information about potential finance and vehicles. The more you know the better equiped you are to negotiate price. Do comparative shopping: Get quotes from dealers in your area and from surrounding cities or towns. Not only could you save money by visiting another town but you could drive down local prices if you have a quote in hand. Choosing a vehicle: There are many different vehicles on the market today. If you are not sure, ask around. When you see a car you are not interested in ask people about their experience with that vehicle. By doing this, you will get a general picture of the vehicle in question. Compare interest rates: Talk to your bank, research online and consider the vehicle finance options from the dealership, then choose the one that offers you the lowest interest rates and the best terms. Negotiate everything: Try to negotiate every detail of the deal face to face. Avoid telephonic negotiations as these could be denied later. Test drive: Test driving is a must. Dont test drive the vehicle on the small side streets in town, take it to the highway where you can get it up to the legal limit. Used cars will sometimes not show their true colours until you have brought them up to good speed. Warranties: A new car should come with a warranty. Take time to closely examine the warranty and the cost of extending it against potential repairs, including the ones not covered. Black and White: Anything and everything you agree upon with your vehicle finance should be in writing and signed by all parties concerned. This entry was posted in General on July 1, 2014 by finance. Modern day societies are full of diverse groups of money schemes such as stokvels, burial societies, social clubs and even investment clubs. These money schemes allow groups of people to save money together. In order to tap into this fast growing culture, Standard bank introduced the Society Scheme. The Society Scheme is a book based account tailored for groups of people who would like to save money together. It is recommended that prospective groups of people have a constitution and all transactions should be branch based. Key features and benefits of this account include the fact that members generally earn higher interest on their savings through the group than they would have with individual savings accounts, the group can decide to move some or all of the society scheme balance into investment products like fixed deposits and notice deposits from time to time, society schemes are automatically entered into a monthly savers draw for every R5,000 kept in the account up to a maximum of 20 entries per account. 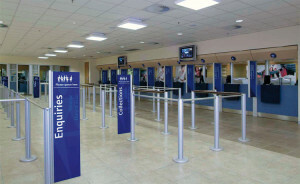 Other features and benefits include the fact that all cash and cheque deposits are free and your group enjoys two free cash withdraws and two free cheque withdraws per month, accounts with monthly balances kept at R5,000 or more are not charged the monthly service fee and enjoy two further free debit transactions per month and all withdrawing instructions must be signed by at least two signatories to protect the rest of the group against misappropriation. The qualifying requirements for this account are that the group must have at least five members and three or four members must be selected to act as account signatories on behalf of the group. Members must be South African citizens aged 18 or older, have valid identity documents and make a minimum account opening deposit of R500. Standard bank can be contacted on 0112994701. This entry was posted in General on June 24, 2014 by finance. 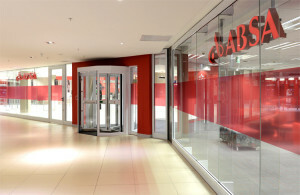 Absa bank is one of South Africa’s top three banks. This banks core focus for many years has been the provision of products and services which contribute to wealth creation at individual as well as institutional level. Over the years however, there has been a realisation that wealth extends beyond mere money. Absa believes elements of investment decision-making combined with emotional comfort is what constitutes real wealth. In a bid to make a contribution in this regard, Absa introduced the wealth management service. Wealth management consists of solutions advice and solutions which mostly cater for private banking and investment management. These solutions are broken down into wealth, unit trusts, linked investments, stock brokers and private client portfolios. Wealth services are tailored for the ultra-high net worth and family office clients and provides holistic wealth solutions, using best of breed products, wealth management, investment management, risk management and structured lending. 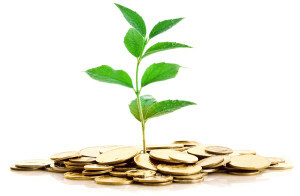 Unit trusts can be started from as little as R100 or even R1,000 per month. Unit trusts are offered in form of international equity, asset allocation, fixed interest and money market unit trusts. Linked investments are created to meet investment needs prior to and during retirement. Stockbroking solution offers investors a professional trading service for buying and selling shares and exchange funds on the Johannesburg Stock Exchange. Private client portfolios are for clients with unique needs and preferences and this is focused on building and preserving wealth over the long term. For all these wealth management solutions, Absa can be contacted on 0116479874. This entry was posted in Absa and tagged ABSA on June 23, 2014 by finance. First National Bank (FNB) has over the years transformed from being just a South African banking giant into an institution which is extending its frontiers into the African continent especially Southern Africa. As part of the Southern African Development Community (SADC), serving this region is very important to FNB. With millions of Zimbabweans living in South Africa, Zimbabweans happen to be South Africa’s largest group of foreign migrants. This scenario points to a need for a reliable facility that allows migrants living in South Africa to send money to their loved ones back home. 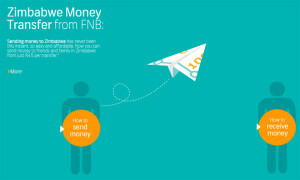 As an industry leader, FNB answered this call by launching the Zimbabwe money transfer service. This service allows FNB customers living in South Africa to send money to an individual in Zimbabwe who has a valid national identity document. Through the partnership entered into with OK limited, sent money can be collected at participating OK outlets money counters. Sent money is also collected in South African rands. The beauty about this service is that money can be sent at any time of the day or night through cellphone or online banking. One is allowed to send up to R1500 per day through cellphone banking and up to R3,000 per day by using online banking. The maximum amount of money allowed to be sent per month is R10,000. FNB can be contacted on 0875759405. This entry was posted in FNB, Loans and tagged fnb on June 23, 2014 by finance. Don’t invest without a plan – Good investment takes having a methodical and well written investment plan. Never invest on rumours, hot tips, stories, conjecture, predictions or an expectation the market will go up. None of these approaches qualifies as a plan despite their widespread use and popular appeal. Invest in your financial education – Investing is both an art and a science. The art factor comes in because human beings are emotional beings whose decisions are quite often affected by values, moods, greed, fear etc. Investing is also scientific because it includes provable scientific principles like diversification, asset allocation, valuation, probability etc. It is therefore important to develop financial intelligence skills and knowledge so that you can strike a balance between the art and science of investing. Always diversify – It is important to diversify investments but this must be done in such a way that new assets added have a different risk profile. The goal when diversifying should be to add independent and sometimes opposing sources of return. This can lower portfolio risk and increase overall return. Don’t pick stocks but focus on asset allocation – An investor must avoid spending too much time on decisions which make little difference in overall performance. Instead spend your limited time and resources determining your correct allocation to asset classes and strategies. Match investment style with personal goals – In investing, one size does not fit all. One therefore must find a path that will honor personal goals, values and risk tolerances so that there is fulfilment in achieving financial success. The journey to financial freedom is about discovering what size will uniquely fit you. Beware of low liquidity – A liquid investment is something that can readily be converted into cash and an illiquid investment is something with barriers that keep it from being converted to cash. An investor should never make a mistake of accepting low liquidity unless the potential reward is so great as to merit the additional risk. The above tips should surely go a long way in making the difference between wealth and poverty through investment decisions. This entry was posted in General on June 18, 2014 by finance. First National Bank (FNB easy account) is one of South Africa’s big three banks. With a rich history that dates back many years and financial strength which is unparalleled in the country, this bank has continued to serve citizens with excellence and innovation aimed at meeting customer needs. In an effort to retain more customers and service a broader market, FNB has launched the low-cost Easy Account. The innovative strength and ability of this account is that it has been linked to a Savings Pocket which offers interest of up to 2.75%, depending on the account balance. This account also allows one to pay for shopping using a card at no extra cost, draw free cash on the till at retail outlets such as Shoprite Checkers, PEP, Boxer, Pick n Pay and selected Spar stores. It also offers Cellphone Banking or FNB ATMs to make transfers and account payments, buy airtime and send money. Other benefits include the fact that there is no minimum balance required on the account, low monthly fee and some of the cheapest bank charges around, free subscription to inContact which facilitates an SMS every time R100.01 goes into or out of the account, free subscription to Cellphone Banking and Internet Banking and an Easy Account Gold Visa card. To qualify for this Easy account, a client just needs to be 18 years and above, be in possession of a South African ID book and show proof of residence which is not older than 3 months. FNB can be contacted on 0861733359. This entry was posted in FNB and tagged fnb on June 18, 2014 by finance. The advent of the internet has revolutionised every aspect of human life. The business world has not been spared by advancements in the field of technology. Gone are the days when customers queued up to access services and products from the providers. Many steps of a business transaction such as applications, submission of documents, getting approval and finances being transmitted can all be done in ones private comfort through the online space. 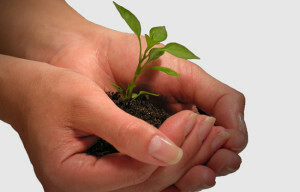 One business organisation which has tapped into the power of the online space is Borrow Online. Borrow Online was established in order to assist individuals and businesses raise money quickly by using their paid up assets as security. Leveraging on the power of online facilities, the Borrow Online team with over 20 years industry experience is able to provide fast, private and efficient service to clients. Borrow Online lends against clients valuables such as vehicles, gold and jewellery, watches, art and property. In order to access credit from this noble micro lender, a client simply completes the application form online and submits for review, Borrow Online will contact client and do an online evaluation, if offer is accepted, client is then supposed to submit the valuable or asset and funds are transferred. Once the borrowed money together with the charges is paid back, the client can then collect the asset. Borrow Online can be contacted on 0861112866. This entry was posted in Loans on June 17, 2014 by finance. Healthcare is something that mankind can’t do without. 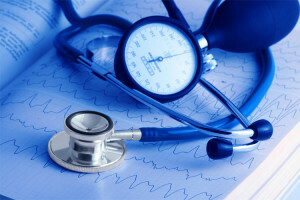 Health matters are also challenges which are most of the time unforeseen which puts enormous pressure on finances to seek quality medical care. The solution for many individuals and families is to get medical plan in place to reduce the financial burden in moments of need. One organisation assisting many in this regard is Medifin financial services. Medifin was established about 20 years ago with a vision of providing medical finance for many South Africans and assist them to proceed with their desired, if not critical medical procedures without being held back. The medical loan product was launched in 2012, to-date this product has reached over 1500 medical and dental practices with over 800 practices being serviced on a regular basis. Medifin provides clients with the means to have the cosmetic or elective surgery they desire at affordable rates and terms accompanied by great customer service. Clients seeking this finance simply have to consult the doctor and know when and how much the procedure will cost, apply for finance, Medifin then does a quick credit check and affordability assessment with clients consent and then issue a quote and an agreement. Other qualification requirements include copy of ID, proof of residence, proof of income by way of showing the most recent pay slip and three months bank statements. Medifin can be contacted on 0861000808. This entry was posted in General, Loans on June 11, 2014 by finance. Debt is a word many South Africans are familiar with.Recent statistics show that half of South Africa’s 20.29 million credit active consumers are struggling to meet their debt repayments. Research has established that consumer credit health has continued to detoriate with loan defaults continuing to rise, salaries being docked by garnishee orders and more people being blacklisted. These stats are a reflection of the negative effect of high debt levels and a rising cost of living. One South African financial house which has stepped in to help the situation is Zero debt. Zero debt is an indigenous and independent company with qualified debt counselors who assist individuals and families to take control of their finances and solve debt problems. Through an effective debt counseling service, a suitable financial plan is drawn for a clients unique situation. Zero debt also helps clients to consolidate debt into one affordable installment at reduced rates. To get assisted, clients can simply complete the free assessment form in order for their indebtedness and affordability to be measured. One all the balances from credit providers are received, Zero debt then drafts a restructured plan which is forwarded to all the involved credit providers and the plan is also given to the client by the debt counselor. Zero debt from this stage instructs a specialised attorney to proceed with obtaining a granted court order based on the restructured payment plan. Through Zero debt, many indebted individuals are getting the much-needed relief. This financial concern can be contacted on 0861113749. This entry was posted in Loans on June 10, 2014 by finance. Richard Branson is a self-made billionaire and a business magnet. He is famously known around the world as the founder of the Virgin Group which comprises of more than 400 companies. Perhaps what makes Richard Branson an admirable business figure is not his estimated $4.6 billion net worth but rather his entrepreneur ability to build a business empire from the bottom. Arising out of a strong desire to share his business experiences and assisting in building a new generation of entrepreneurs, the Ricard Branson centre of entrepreneurship was launched in South Africa. The Branson centre of entrepreneurship is a premier global leadership initiative which is partly funded by Virgin Unite and other investors. The vision behind this initiative is to ensure entrepreneurs are united to tackle tough social and environmental problems in an entrepreneur way. The initiative is of significant importance in a country like South Africa where the economy depends on a thriving micro business sector to create economic growth and jobs. This centre offers financing opportunities to enable business growth, opportunities to meet some of the biggest names in business, practical business skills training including finance, people management, legal and IT, networking opportunities, mentors to share their good and bad business experiences, access to accountants or lawyers to ensure businesses are protected and enjoy the expertise and support of the Virgin Group. The Branson centre of entrepreneurship can be contacted on 0114030613. This entry was posted in General on May 30, 2014 by finance. Freeway is a descriptive term that tries to bring to light a passage that bears no disruptive obstacles. In real life, the passage of life is punctuated by many moments of involuntary pause and impediments which in most cases are linked to finances. In a bid to assist many individuals and families facing different financial challenges, Freeway finance was established. Freeway Financial Services is an authentic South African micro lender which provides blacklisted cash loans, term loans, consolidation loans and personal loans. Using different diverse affiliations built over the years with credit providers who each have their own company criteria, clients who have become blacklisted and can’t qualify for credit with other credit providers are helped. These affiliated lenders also registered with the National Credit Regulator which makes them responsible lenders. To apply for these credit facilities, a customer just needs to download, print and complete the application form in readable handwriting. This application form should be accompanied by an ID copy, latest 60 days bank statements and latest salary advice. The submitted application form and documents are processed and feedback is given within a period of 2 hours whether its positive or negative. The qualifying criteria for this loan is that you have to be permanently employed for at least 2 months, be a South African citizen with an ID, earn a monthly salary which is deposited into your personal bank account and be older than 18 years and younger than 65 years. Freeway does not unfortunately assist those on commission income, self-employed, contract workers without a specified contract end date, not a South African and those under administration, insolvent, liquidated or under debt counseling. 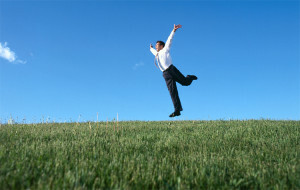 To enjoy a life free from financial impediments, Freeway finance can be contacted on 0125465747. This entry was posted in Loans on May 30, 2014 by finance. Small business incubator – Pick n Pay was established in 1967 with a vision of being a leading retail store. Today Pick n Pay is rated as the second largest supermarket chain store in South Africa with a strong and extended business footprint in other countries around Southern Africa in countries such as Zambia, Botswana, Namibia, Mozambique, Angola etc. While the existence of this giant brand has mostly been focused on retailing, the many years of experience gained has allowed Pick n Pay to be well positioned to assist in building other businesses in the micro sector. The end product of this desire has been the creation of the small business incubator. The small business incubator is a dedicated division that is focused on encouraging and assisting small black businesses in becoming sustainable suppliers to the retail industry. Through this innovative incubator, emerging companies are assisted. This is achieved by providing mentorship at all levels of the business process. Mentorship skills provided include health, safety, hygiene, ethical employment and accounting practices, marketing principles, buying and negotiating techniques and other life skills. Closely tied to the work of the incubator is the enterprise development foundation and the transformation department. Enterprise development foundation addresses financial challenges that organisations may face to ensure they remain long-term suppliers to the industry. Transformation department looks into growth opportunities for new BEE suppliers and going the extra mile by making sure all Pick n Pay buyers across the country introduce new BEE suppliers to their category. The Pick n Pay business incubator is poised to drive business growth in South Africa. Finance 27 loans – The South African economy has over the last two decades has experienced tremendous growth and change. In tune with the country’s democratic dispensation which embraces diversity, the country’s economy has also witnessed the emergency of many macro and micro financial institutions all providing an assortment of services and products. One of those micro lending institutions which has come on the economic scene to make a contribution is Finance 27. This micro lender operates within the legal guidelines of the National Credit Regulator. Finance 27 has committed itself to the provision of same day payday loans in cash amounts of minimum amount of R500 and up to maximum amounts of R3,000. This credit facility has been created to assist individuals and families to meet urgent financial commitments and challenges and ultimately achieve financial freedom. The process to obtaining this finance is very simple.The customer simply chooses a loan, communicates the necessary and needed personal information and once approved the money is delivered through a bank account. When a customer renews a loan, it will be seen as a new loan and therefore the same interest and rates will apply for the new loans. To qualify for this credit finance, a client needs to be 18 years and above, be in possession of a South African ID, have some sort of monthly income which enables one to afford loan repayments, show proof of residence and have a bank account where income is deposited and repayment debit orders can be carried out. Finance 27 can be contacted on 0129411572. This entry was posted in Loans on May 28, 2014 by finance. Absa is a South African financial and banking institution driven by innovation and providing simplistic services. One product offering bearing testimony to Absa business position and pedigree is Pebble. Payment Pebble is an innovative, high-tech device with unique safety features which facilitate convenient and mobile payment acceptance. This product has been tailored especially for small, medium and large business owners because it gives them the ability to accept MasterCard and Visa debit or credit card payments at anytime and anywhere through a smart phone or tablet. The Pebble gives the user lots of flexibility because its compact and mobile which means it can be plugged into the audio jack of the compatible smart phone or tablet and once set up, it allows for immediate transaction.This convenience in transaction can happen on the roadside, at the market or even in the customer’s home. For clients who may not have a smart phone or tablet, the Pebble bundles provides the option of getting an Absa Business Cheque Account, a smart phone or tablet device and a Telkom Business Mobile contract. The pricing structure for this product is divided into Absa banking customer and Non-Absa banking customer. The Absa banking customer monthly rental is at R50 excluding VAT for the first 12 months and R20 excluding VAT thereafter no swap outs allowed. Once off initiation fee payment pebble order at R160 excluding VAT for the first Payment Pebble and R30 excluding VAT for each payment Pebble thereafter. There is also free swap out, once off initiation fee will be charged for each swap out. Merchant services fees across all card types is at 3.20%. Non Absa banking customer pays a monthly rental of R50 excluding VAT for the first 12 months and R20 excluding VAT, thereafter no swap outs allowed. Once off initiation fee per payment pebble order which is at R160 excluding VAT for the first payment pebble and R30 excluding VAT for each payment pebble thereafter. Replacing and returning old payment pebble involves free swap and once off initiation fee will be charged for each swap out. Merchant fees in this category across all card types is at 3.75%. To access this product, Absa can be contacted on 0860111222. This entry was posted in Absa, General on May 26, 2014 by finance. Debt consolidation is a phenomenon which has swept through financial markets for a while now. This credit management system allows individuals who are financially distressed due to debt or even at risk to have a better way of managing debt. Debt consolidation allows one to seek a loan from a financial institution which pays off various credit accounts leaving the individual with only one debt account to service. This plan offers clients a number of benefits such as going from having numerous creditors and credit agreements, with various terms, interest rates and monthly fees to one loan with one creditor and being liable for one monthly fee. Consolidation loans also quite often offer lower overall average interest rate over a longer loan term which results in lower monthly debt repayment. It is however important to highlight that debt consolidation loans have their own negatives. Customers should understand that consolidation is a short-term fix, not a life time solution. In a layman’s language, it’s more like putting a plaster on a serious wound. While debt consolidation loans extend the repayment period, it simply means the debt is being extended to a longer period of time which results in paying much more interest on that debt. It therefore means that reaping the benefits requires financial discipline. It requires the adoption of better spending behavior to avoid falling into the same spending patterns which created the initial over-indebtedness. Debt consolidation loans should be used to save on interest and not to reduce your longer term monthly debt repayments. Customers should also go through a brief checklist to ensure debt consolidation loan enables them to settle all debts, it reduces overall average interest rate, it reduces monthly repayment, the credit life insurance on the loan should cover death, disability and retrenchment. The negatives of debt consolidation can be drastically minimised if matched by disciplined spending habits and prudent financial management. This entry was posted in General on May 22, 2014 by finance.